The city of Dresden is home to what must be the oddest cigarette factory in the world: Yenidze. The building looks like a mosque, but it isn’t. Until the 1950s, it used to be a cigarette factory. When the German entrepreneur Hugo Zietz was setting up a cigarette and tobacco business, he wanted to do so in a part of Dresden called Friedrichstadt, near the old town city center. The city council wasn’t too happy with his plans, as they were afraid the baroque center would be disgraced by an industrial building. 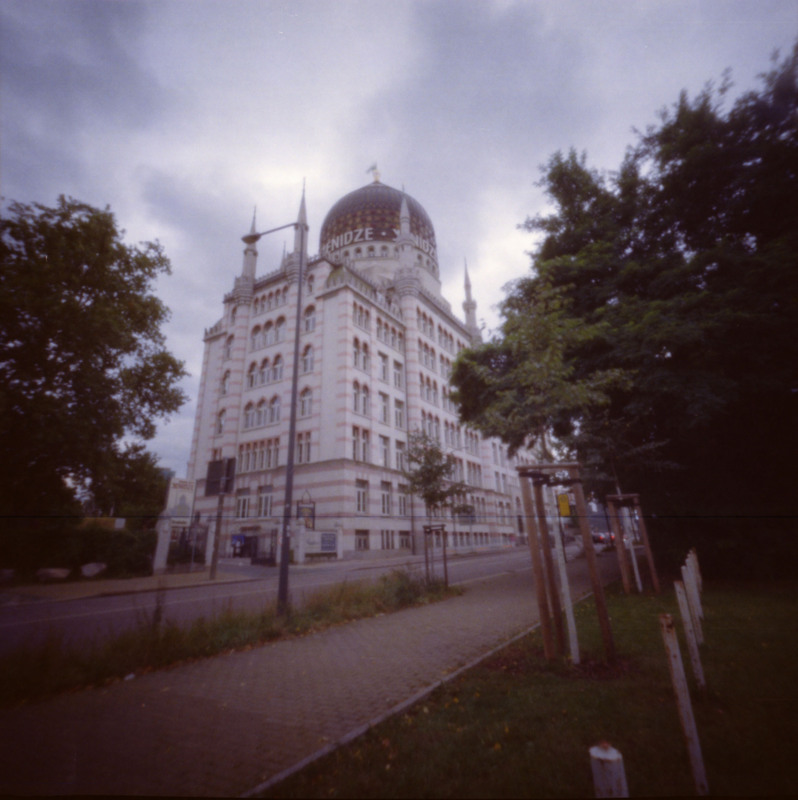 Zietz had to think of a solution and decided to build Yenidze, a mosque shaped building that would in fact be a factory. He got the name from a part in Turkey, where he got his tobacco from. All his cigarette brands had Turkish names as well, so why not build a Turkish looking factory? Yenidze was built in 1908 – 1909. The chimneys are disguised as minarets, and the building had both Arabian and Art Nouveau influences. During the bombing of Dresden in 1945 the building was heavily damaged. After WWII Dresden was a part of the communist East German Republic. During that period the factory was still producing cigarettes, after it was quickly restored. In 1996 the building was completely restored. These days it’s an office, and you can rent office space there. The dome is a restaurant, and there are many oriental themed activities taking place. Fascinating! What a cool building!